On the night before Easter, the Church gathers for worship in anticipation of the dawn of Easter Day, the chief festival of the Church. God’s mighty deliverance of His people in the Old Testament is recalled as we look forward to God’s deliverance of His people through the death and resurrection of Jesus Christ. Though the introduction of the celebration of the Easter Vigil in America is rather recent, the Easter Vigil is an ancient service of the Church and adds great depth to the central themes and celebration of the resurrection of Jesus Christ. Selected portions of the Easter Vigil go back to the very first centuries of the Church. The current order for the Easter Vigil combines traditions from various portions of the Church’s history. In some times in the history of the Church, the Easter Vigil was an all-night event, anticipating the dawn of Easter morning. It was often the time when new converts completed their period of catechesis and were baptized into the Church. Another custom was timing the Vigil so that the celebration of the Sacrament of Holy Communion took place at midnight. Liturgical and historical scholarship led to the reintroduction of the Easter Vigil into liturgical churches in the United States beginning in the 1950s. Lutheran churches began to celebrate the Vigil in the 1960s. An official rite was provided for the Lutheran Church—Missouri Synod in the 1984 Lutheran Worship Agenda. The Easter Vigil is organized into four major sections: the services of (1) Light; (2) Readings; (3) Holy Baptism; and (4) Holy Communion. LIGHT: The Vigil begins after dark in a location outside of the nave. A fire is kindled to light the paschal candle. Originally, this was simply a practical measure to be able to see. It additionally represents the celebration that Jesus Christ, the Light of the world (St. John 8.12), conquered the darkness of death through the light of the resurrection. The Paschal Candle is a large candle lit throughout the Easter season to represent the presence of Christ among His people. 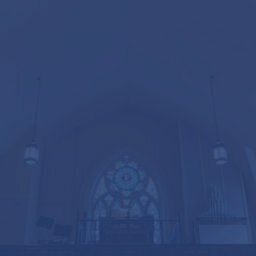 It is also lit during baptisms and funerals since we are baptized into Christ’s death and resurrection. Individual candles held by the congregation are lit from the Paschal Candle. The procession into the chancel led by the Paschal Candle recalls the Pillar of Fire that led the wandering Israelites by night. 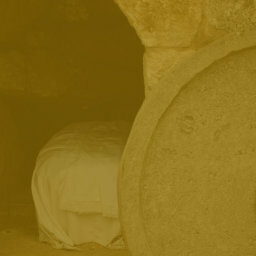 The Exsultet (Easter Proclamation) is sung, calling for the Faithful to rejoice at God’s deliverance of His people throughout history and especially in the forgiveness won through Christ, the true Paschal Lamb, who redeemed us by His blood and conquered death through His resurrection. READINGS: A series of Old Testament lessons are read, surrounded with prayers, psalms, and hymns. Many of them were recalled in the Exsultet. The readings include portions of: The Creation (Genesis 1-2), The Flood (Genesis 7-9), The Testing of Abraham (Genesis 22), Israel’s Red Sea Deliverance (Exodus 14-15), Salvation Offered Freely to All (Isaiah 55), A New Heart and a New Spirit (Ezekiel 36), God’s Faithfulness to Israel (Deuteronomy 31.19-30), The Valley of Dry Bones (Ezekiel 37), Job Confesses the Redeemer (Job 19), Jonah Preaches to Ninevah (Jonah 3), The Gathering of God’s People (Zephaniah 3), and The Fiery Furnace (Daniel 3). HOLY BAPTISM: Even if there are no candidates for Baptism, the baptismal liturgy is prayed in remembrance of our Baptism, where we are buried and raised with Christ’s death and resurrection. The Flood Prayer of Dr. Martin Luther is prayed, which draws such accounts as the Flood and Deliverance at the Red Sea as types of our own saving washing into the Ark of the Church. The Rite of Confirmation may also take place, reflecting the ancient church’s practice of catechesis (teaching) throughout the season of Lent. HOLY COMMUNION: The Vigil continues with the reading of the Easter Gospel, a homily, and the Liturgy of the Sacrament from the Divine Service. Following the blessing, the worshippers depart with joyful anticipation of the chief Divine Service for the Great Easter Feast. Various Easter hymns are appropriate for the Easter Vigil. One hymn that is especially fitting is from the eighth-century Greek theologian John of Damascus. Come, You Faithful, Raise the Strain (487) is based on the “First Song of Moses” from Exodus 15, sung in praise of God’s deliverance at the Red Sea. This is one of the lessons in the Service of Readings of the Easter Vigil. The second stanza tells the story of the resurrection and, with images of light and sun, reflects the themes of the Service of Light of the Vigil. The final stanzas continue to relate the deliverance of God’s people – the Israelites – at the Red Sea to the deliverance of God’s people – the New Israel of the Church – through the resurrection of Jesus Christ. The hymn, Christ Is Arisen (459) is from the traditional Sequence for Easter. It celebrates “Christ our Comfort” who fills us with hope through His ascension from the grave on Easter. It may be sung alone in the hymn form or with the Sequence chant of the Victimae Paschali (460). This is historically sung during the Gospel Processional. Rejoice now, all you heavenly choirs of angels; rejoice now, all creation; sound forth, trumpet of salvation, and proclaim the triumph of our King. Rejoice too, all the earth, in the radiance of the light now poured upon you and made brilliant by the brightness of the everlasting King; know that the ancient darkness has been forever banished. Rejoice, O Church of Christ, clothed in the brightness of this light; let all this house of God ring out with rejoicing, with the praises of all God’s faithful people.